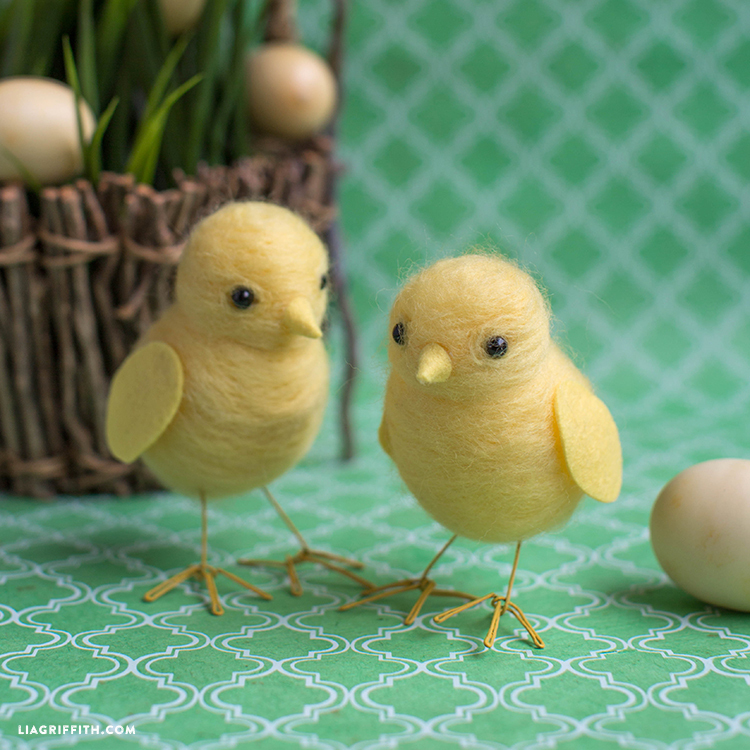 If you saw our Easter Bunny needle felting project, you will love this needle felted chick! Making the needle felted chick is very similar to making the felted bunny. You will need yellow roving wool, yellow felt, two black beads, floral wire, one foam ball, and one foam egg. 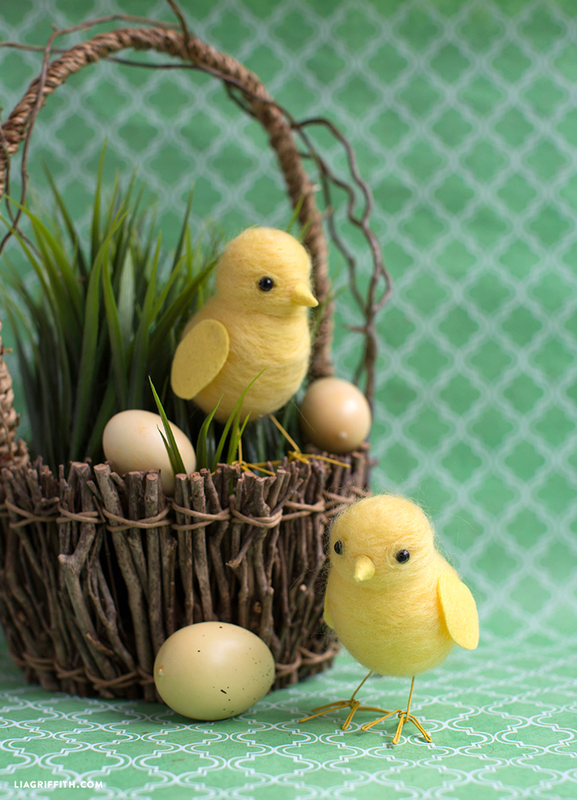 Just as with the bunny, you will twist the foam egg and ball together to flatten the tip of the egg and create the chick’s head and body. 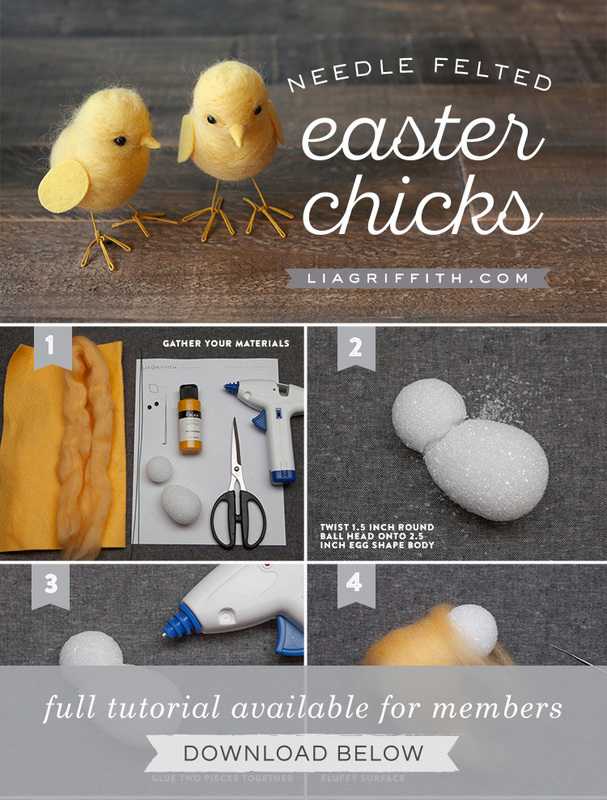 These chicks are really cute with their chubby little bodies, so I would recommend grinding the foam pieces together a bit more than the felted bunny. Once you have your head and body formed, attach them to each other with a bit of hot glue. Next, you can wrap the body in your yellow roving wool. Follow the step-by-step photo tutorial below as a guide for our needle felting technique! Print the PDF below as a guide for cutting the felt wings and beak. Use 18 gauge floral wire for the chick’s feet. To make our feet a bit more realistic, we painted them with a bit of yellow acrylic paint. Follow our tutorial for bending the wire into feet, and then attach them to the body with your hot glue gun. Next, secure the wings, beak, and eyes. And that’s it! 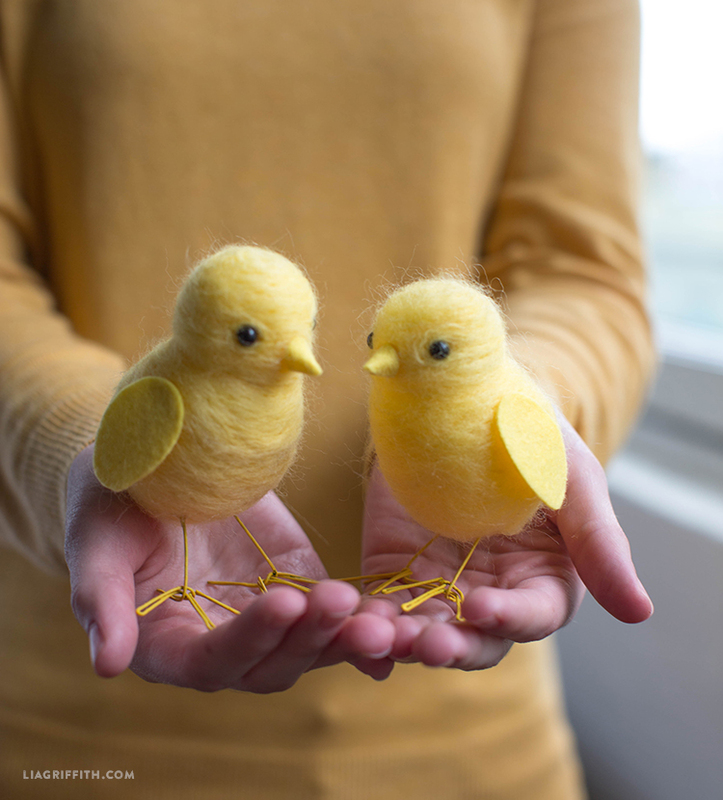 This needle felted chick is the simplest needle felting project that we have posted, and definitely one of the cutest! Is this a special kind of felt? It’s roving wool from Benzie Design (https://www.benziedesign.com/collections/roving/products/roving)! So adorable! How much roving wool is needed per chick? I have never heard of it. Can I purchase it at Michael’s or Hobby Lobby?